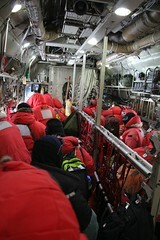 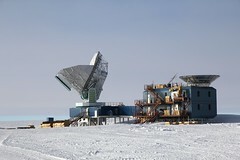 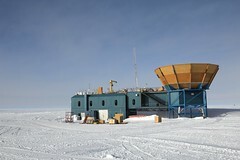 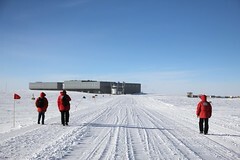 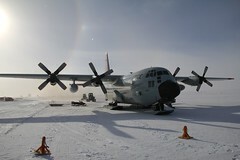 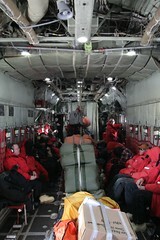 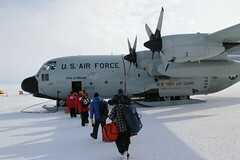 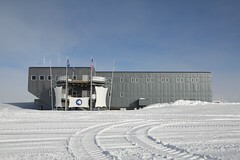 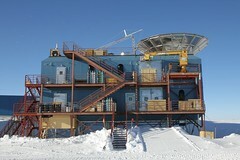 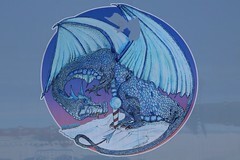 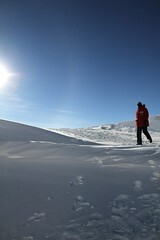 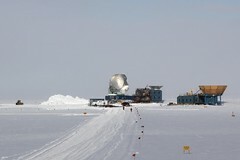 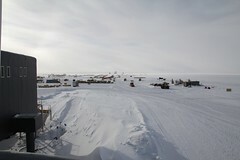 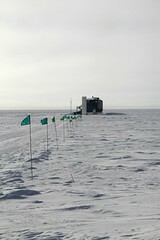 Once SPIDER finished, I spent a week at Amundsen-Scott South Pole Station. 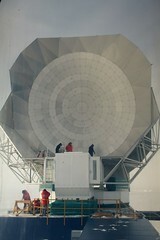 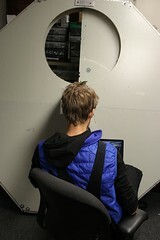 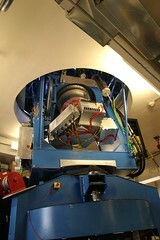 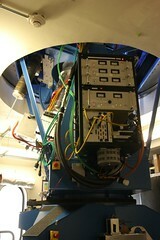 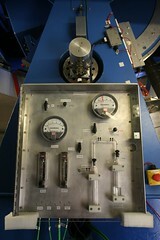 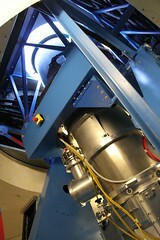 The BICEP3 telescope deployed this year, and I went down to help integrate electronics for which I am the expert. 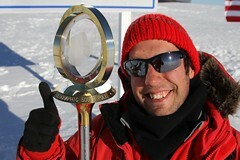 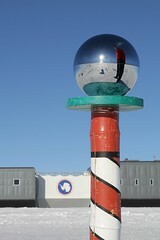 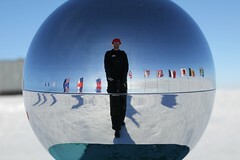 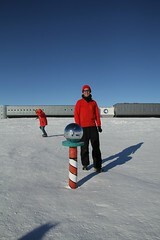 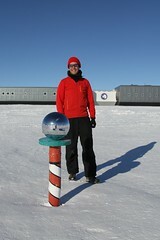 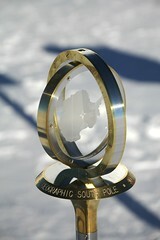 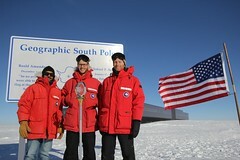 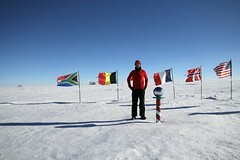 While there, I made a mandatory visit to the two south poles: the geographic South Pole marker (which is updated annually), and the shiny looking ceremonial pole for photo ops.